I think it's safe to say that I am obsessed with adore Cath Kidston. Their prints are gorgeous and girly, and anything from CK always makes an excellent gift. The idea to write this post came when a friend of mine was recently in need of some new cosmetic bags and asked me where I thought she could find something that's good quality, looked über-cute and was also a bargain! I told her the same thing i'm going to tell you - Cath Kidston is definitely the way! They have a number of different designs to choose from, whether you're into your florals, polka dots or just any random pattern that's super cute! I have 2 different cosmetic bags from Cath Kidston - a large one that I put all my make up in when I travel, and a smaller make up case that I keep in my daily handbag/tote. I've been using this 2-fold toiletry bag as a make up bag for when I travel; as opposed to an ordinary make up bag, it's got two clear wallets inside, so firstly you don't have to rummage through the entire bag to find something because you can see everything. Secondly, since there's two compartments you can separate the messy stuff (make up brushes, etc) from other products that you don't want to get foundation residue all over. They're easy to clean too - I just wipe them down with antibacterial wipes from time to time, to get rid of any foundation or powder stains. I chose this pink floral print that I absolutely adore. My smaller make up case comes with me everywhere in my tote. It's where I keep the bits and bobs I need for touch-ups during the day - Chanel Les Beiges powder, mascara, lipstick, a lip gloss, etc. The lining is also waterproof inside so again, it's easy to clean with antibacterial wipes. It comes with a matching circular mirror that slots into the inside pocket. 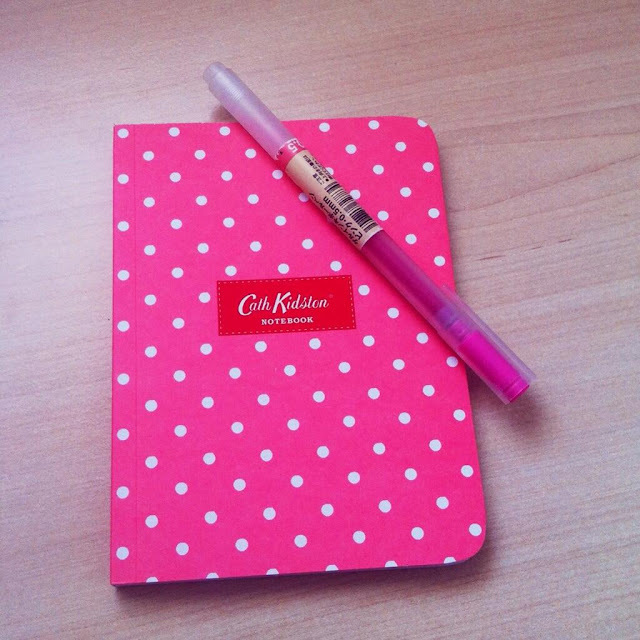 I also love the CK mini journals in Cherry White, Mini Dot Pink and Provence Rose Blue. They're a nice size and I always carry one with me so I can jot down blog ideas during the day. Everything is available here and they've got a sale on at the moment, so be sure to check it out!